Genetic Modification (GM), also called ‘genetic engineering’, is the process of making direct changes in genes, which are made of DNA. DNA can be thought of as very long strings of four letters, A, G, C, and T, and the precise sequence of those letters as a message in code. Genetic Modification alters the sequence of those letters, for example by inserting some new code, deleting sections or even replacing a single G with, e.g., a C. The techniques for doing this have existed since the 1970s and the first genetically modified plants and animals were made in the 1980s. ‘CRISPR’, or ‘genome editing’. In the last five years, a new set of techniques has been developed, which are known as genome editing (the genome is the total amount of DNA in a cell). Genome editing has a particular advantage over the older methods: the ability to target where you make your changes in a living plant or animal cell. With the older techniques, introducing a new piece of DNA was a rather random process. The result was that the new DNA could disrupt important parts of the genome, with disastrous consequences for the organism. Thus, much is being made of the ‘precision’ of CRISPR technology. This ignores the fact that the actual changes that it makes can be quite unpredictable. Moreover, despite the claims that it can target a single site in the genome, in fact there are many examples where it attacks a variety of sites. New research papers, detailing problems with and risks from CRISPR are being published every month, as are papers detailing attempts to fix those problems. This is normal for an immature technology. There is a strong consensus among scientists that CRISPR is far from ready for applications such as creating GM babies, because it could cause more damage than it fixed. This is a major reason why many scientists have criticised He Jiankui so strongly. There is an assumption among scientists that eventually these problems will be solved and that will make CRISPR ‘safe’ to create GM babies. However, it is important to realise that, in the first such attempt, it could never be possible to fully predict the effects of the new changes upon the child, throughout its lifetime. If there were not safe alternative technologies, it might be ethical to take such a risk. But since there are such safe alternatives, we believe it will never be ethical to do so. Most genetic diseases are the result of a quite small genetic change (mutation) in a gene that is essential for the functioning of a particular organ. For example, mutations in the Cystic Fibrosis gene primarily affect lung cells. Thus, since the 1990s, there have been various, mostly unsuccessful, attempts to treat the symptoms of genetic diseases, by e.g. introducing normal versions of the cystic fibrosis gene into lung cells. This is called ‘somatic gene therapy’ (SGT), and is conceptually similar to treating tissues with a drug. Stop Designer Babies has no objection to somatic gene therapy, so long as it is used for valid medical purposes. The crucial difference between SGT and human genetic modification is that in SGT the genetic changes are confined to the lungs and do not affect cells in the reproductive organs, such as the ovaries and testes. Therefore they are not passed on to any descendants of the patient. By contrast, in human genetic modification, the aim is to introduce genetic changes into every cell of the body, by making the changes in embryos or even sperm or egg cells. A GM baby born through such a process would pass the changes on to all his/her descendants, because the changes also are present in that child’s reproductive organs. This is quite different from conventional medicine, because when making genetic changes in an embryo there is no actual patient being treated. Also, the changes being made would affect future generations that have no opportunity to agree to them. Why is genome editing unnecessary to avoid children suffering from genetic diseases? As noted, genome editing is being touted as the solution to genetic diseases. But in fact, non-invasive selection technologies can already solve these problems. Parents who know that they are at risk of a having child with a genetic disease have several options for avoiding that. The low-tech traditional method is adoption. Secondly, since because of the way genetics works, genetic diseases result from the combination of both parents’ genes, parents can choose to use either egg or sperm cells from someone else to create the baby. This is called gamete donation, and in the case of sperm donation is certainly low-tech. As with adoption, this will mean that one parent at least is not the genetic parent of the child. Many people place much importance on upon being their child’s genetic parent. However, that is a social benefit, not a medical benefit to anyone. It is questionable whether it is ethical to subject the child to considerable risks from novel invasive technologies for the sake of such a benefit. Thirdly, if parents wish to be the genetic parent of their child and are not morally opposed to abortion, a pregnancy can be created in the normal way and then genetic testing can determine whether the child is affected by the mutation or not. Typically, the risk of this happening is one in four or one in two, depending on the particular genetic condition. Finally, the most high-tech method is genetic testing and selection of embryos, called preimplantation genetic diagnosis (PGD). 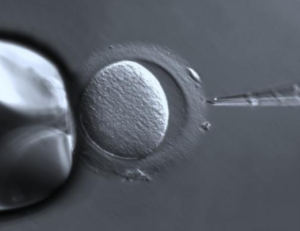 In this technique, a batch of 10 or 15 embryos are created through IVF. 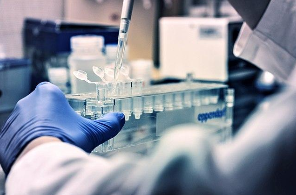 At an early stage in their growth in the laboratory, a single cell is extracted from each and tests performed to see which embryos carry the mutation causing disease. These embryos can be discarded and embryos which lack the mutation can be implanted, creating a pregnancy. This spectrum of methods can prevent the birth of children with genetic diseases, except in a minuscule number of hypothetical cases, as all reports on the science and ethics of this issue agree. Thus, creating GM babies, with all the risks to both the child and society that it entails, can never be ethical. We fail to understand why scientists who know this perfectly well still insist in media interviews that genetic engineering is the only solution. Please read the note on prenatal testing, disability and eugenics on the ‘Case against designer babies‘ page. Eugenics was a social movement that began in the early 20th century in Britain and was popular in many countries, especially in the USA. It was a mainstream body of opinion, including many doctors and most geneticists, that passed laws in social democratic as well as fascist countries. It was concerned about the ‘burden on society’ of disabled people (especially those with learning difficulties) as well as ‘the lower classes’. Eugenicists thought Jews, immigrants, working class and black people were having too many ‘poor quality’ children and dragging down the ‘national fitness’. It advocated efforts to prevent the birth of such people through sterilisation and contraception. These ideas, which were linked to ideas of racial purity and ‘social hygiene’ were taken up strongly in Germany. In the Nazi period they led to the murder of hundreds of thousands of disabled people, and to the Holocaust. Nowadays, geneticists insist that eugenics is a thing of the past and that the crucial thing that was wrong with eugenics was the way the state coerced people’s reproductive choices. Since genetic counselling of parents is now officially non-directive, there can be no problem with offering people choices, they say. However, there a great deal of evidence that genetic counselling is far from non-directive. Moreover, in a society which fails to provide adequate support to families with disabled children, providing ‘choices’ to parents inevitably leads to the vast majority of pregnancies involving a disabled child being terminated. If the results are the same, and if the eugenicists of the 20th century would have been delighted with the outcome, it’s eugenics. Most 20th-century eugenicists, including Francis Galton who invented the term, actually preferred persuasion to coercion. So, state coercion does not define eugenics. Many disabled activists and writers have argued that we already have a free-market version of eugenics. In the 21st-century and knowledge of genetics is vastly greater than it was in the 20th, as are our technological capabilities. There are multi-billion dollar biotechnology and IVF industries with huge capacities, based upon that. Allowing genetically ‘enhanced’ designer babies would create a new techno-eugenics that could have disastrous consequences for human societies.